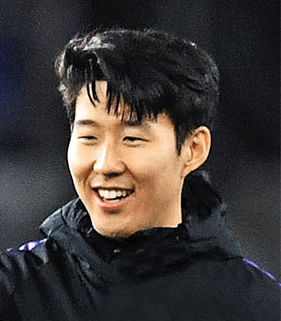 Tottenham Hotspur striker Son Heung-min has seen his transfer value soar thanks to his consistently strong performance. Son has scored nine goals in his last 10 games in the English Premier League this season. He struggled somewhat in his first season after joining Tottenham in 2015 from Bayern Leverkusen in the German Bundesliga, but scored more than 10 goals in the last two seasons. In the latest report by the International Center for Sports Studies (CIES) Football Observatory released on Monday, Son was valued at 93.9 million euros, ranking 33rd among players in Europe's top five leagues -- the EPL, the Bundesliga, France's Ligue 1, Italy's Serie A and Spain's La Liga. He was the only Asian among the top 100 players. In 2013, Son moved from Hamburg SV in Germany's Bundesliga to Bayern Leverkusen for 10 million euros, the highest transfer fee ever paid for a Korean player at that time. In 2015, he broke the record for an Asian player when Tottenham secured his services for 30 million euros. French striker Kylian Mbappé of Paris Saint-Germain, who leads Ligue 1 with 13 goals, led the list with 218.5 million euros, followed by Son's Tottenham teammate Harry Kane with 200.3 million euros and Neymar Junior of Paris Saint-Germain with 197.1 million euros.